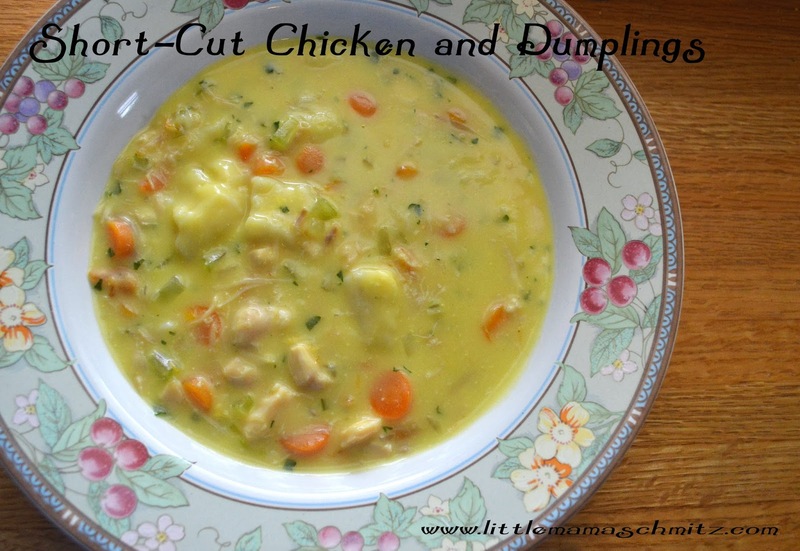 With a mid-west winter chilling me to the bone, I have been craving the comfort of chicken and dumplings. I wanted to make a small batch, quickly for lunch. (My husband's diet that he's on doesn't allow this meal) I was pleasantly surprised at how tasty this recipe was! This made about 2 to 3 servings. Simmer your veggies in the chicken broth, covered, for about 10 to 15 minutes or until slightly tender. Stir in the chicken and soup, bring up to a boil. Add parsley and biscuits. Cover and reduce heat to a simmer. Simmer for about 10 minutes, until biscuits are cooked through.